We have introduced Brooks to our running range. The American brand is consistently regarded as one of the best running shoes on the market and from our personal experience running in the shoes, we have to say we agree. 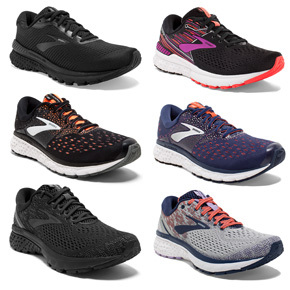 We stock the Adrenaline GTS (supportive + structured), the Glycerin and the Ghost (both neutral shoes) in the men’s and ladies’ ranges – and are able to order other shoes from their wide selection. Come in store for a free gait analysis and to try on a pair of Brooks running shoes.